The Bethel area abounds in activities all year long! 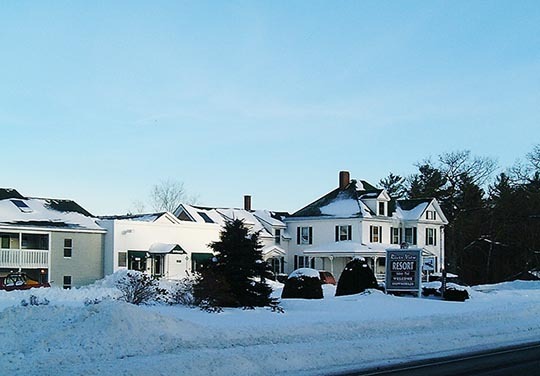 It is Maine's premier four-season recreational destination, located in western Maine, in the Androscoggin River valley, and the Mahoosuc Mountains. The area's plentiful amenities will back up your experience -- or make the amenities your reason for visiting! Pamper yourself in a spa, relax in a restaurant, laugh in a pub, find a shop or gallery to delight. 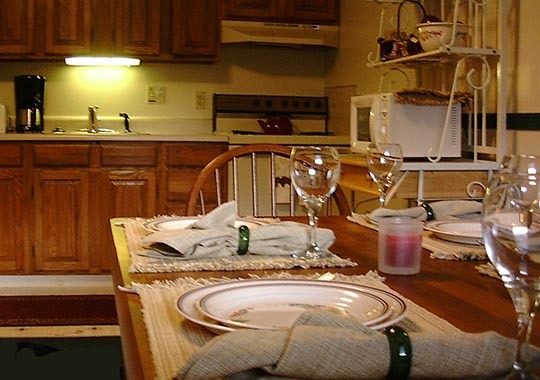 Timeshare suites include private balconies overlooking the Androscoggin River. They're equipped with two-bedrooms, a living room with sleeper sofa, a fully-equipped kitchen, dining area and bath. There's cable tv in the living room, a room telephone, free hi-speed Wi-Fi, adjustable air-conditioning (in bedrooms only), electric heat, linens, housewares, and daily maid service. Explore on your own or hire a guide. Spend days or even weeks exploring -- from our classic New England village to "off-the-beaten-track" special places. Get outside, in a wide variety of outdoor pursuits...something for every age and ability! A to Z: apple picking, bicycling, canoeing or kayaking, dogsledding, eating, fishing, golfing, hiking, ice skating, jogging, lobster, moose watching and scenic drives, nature walks, outdoor fun, photography, quarries, rockhounding, skiing and riding, snowmobiling, shopping, triathlon, visiting White Mountain National Forest, waterfalls, XC skiing and snowshoeing, yoga. Come on, zip up your bags and come along for the fun! Discover the fun that awaits you in the Mahoosuc Mountains of Maine at the River View Resort.